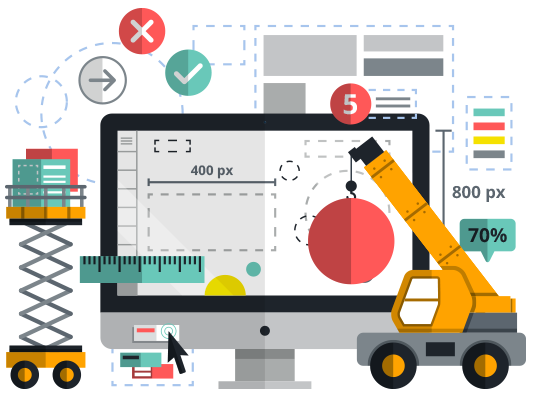 Tap into the most capable and comprehensive website maintenance services in Salem and hold onto that all-important competitive edge. Like any well-oiled machine, every website needs periodic and ongoing maintenance to continue performing to its maximum potential. Which is why we're proud to offer a comprehensive range of website maintenance services for every type of website and online business. Quite simply, whatever your requirements and budget, we'd be delighted to help. Experiencing performance issues with your website? Looking to make an important enhancement or update? Or perhaps you simply want to know how, where and to what extent your site could be improved? When it comes to those minor maintenance issues on a periodic basis, we can provide you with the one-off website maintenance services you need. No contractual obligations, no hidden charges are no requirement to go ahead with any proposed upgrades or improvements. We'll carry out the necessary assessment of your website, checking a variety of common maintenance issues including copy insertion/removal, SQL tweaks, to image replacement, server-side language fixes or PHP or anything else required. By contrast, if you want to ensure that your website is constantly and consistently performing to its maximum potential, we're proud to offer comprehensive ongoing website maintenance services in Salem. We take pride in offering a wide range of fully flexible ongoing service packages, suitable for all types of businesses and every budget. Each package consists of a wide variety of essential scheduled maintenance duties, in order to both maximize performance and minimize the potential for ongoing issues. What's more, if the service packages listed on our website are not ideally suited to your requirements, simply get in touch with a member of the team to discuss a bespoke solution. We understand and appreciate the importance of providing the kind of ongoing and comprehensive webmaster support you can count on. Whether seeking inspiration, in need of advice regarding site improvements or simply looking to pass tasks of any kind on to the professionals, our exclusive team of experts has you covered. We take enormous pride in taking the websites and businesses of our customers to an entirely higher level and will stop at nothing to do so. Our website maintenance services are geared towards the ongoing optimization and improvement of your website and its performance. Both periodic and ongoing maintenance involves the inspection and analysis of your site's current performance and position, in order to pinpoint areas for improvement. To overlook the importance of continuous improvement is to risk stagnation, ultimately harming the performance of your business. For more information on any of our web maintenance and development services or to arrange an obligation-free quotation, reach out to a member of our customer service team today.